Toby Jones Fishing: Spring has Sprung! Still, through the wind and the cold, and the ice and the snow... we somehow managed to coat our hands with slime a few times this past winter. 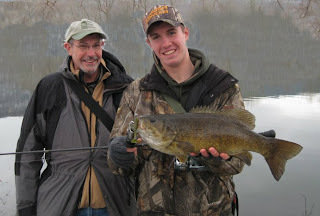 This year was nothing like last year, but in a dynamic system like the Susquehanna--that is to be expected. 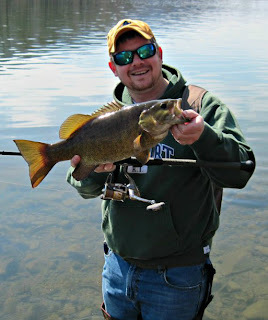 More recently, however, it seems things have gotten back to normal somewhat, as the action on our local flows has picked up quite well with the pre-spawn smallmouth bite taking off. In addition to our local bronzebacks, my Dad, my nephew Gabe, and I were also lucky enough to enjoy a quick day and a half trip to Erie for some steelhead action a couple weeks ago. Gabe landed his first 2 steelhead on our trip, and dad and I were able to get a few chromers to bank as well. 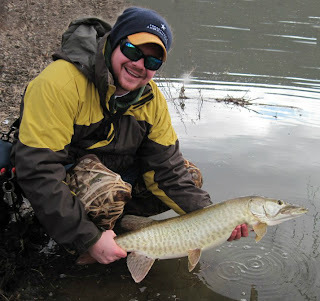 We were both very proud of Gabe as he looked like an old pro along the banks of elk creek--fighting and landing his first spring steel! 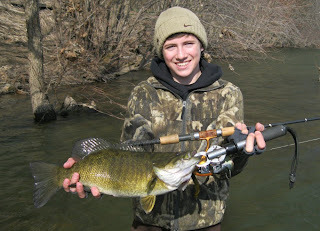 Another notable catch from this past winter was my nephew Bailey's new PB smallmouth... A beautiful 21 3/4 inch, 5 lb + beast. Congrats Bailey! On the toothy critter front... It was a pretty slow cold water season for me this past year, not at all like the previous. 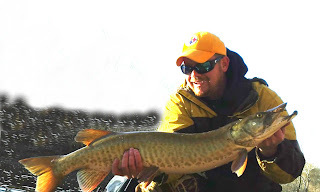 Last Novermber, I managed one 37 inch ski that I mentioned in my previous post... Then a week later I scored a nice 39 incher on a COLD early December morning, which eventually turned out to be my last fish of 2012. 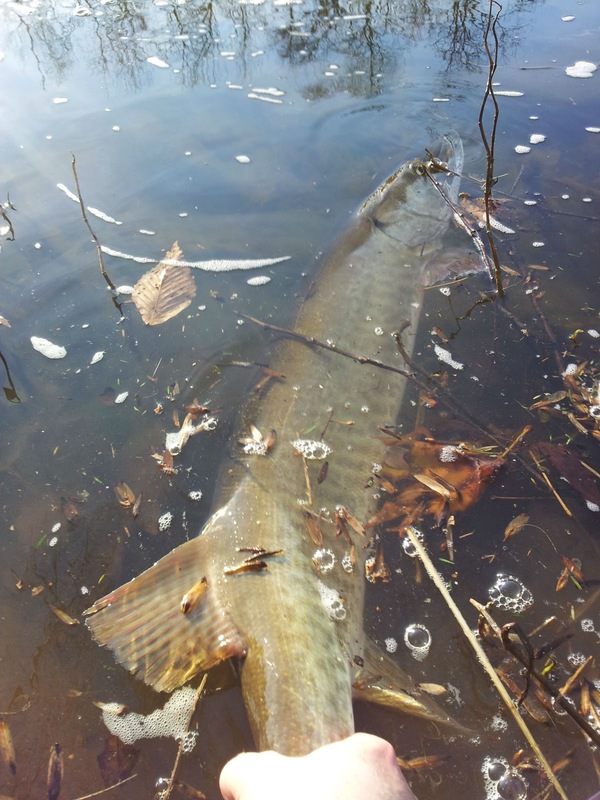 The cold and low water set in soon after that last fish and made things pretty tough... But fast-forwarding to March, I somehow got lucky and landed a pretty little, fat 33 incher, that gobbled up a 7 inch tube, one afternoon while Dad and I were hitting a local eddy. With the limited time I've had to fish muskies lately, definitely feel lucky to have gotten that first ski of 2013. Hey Andy... Good to hear from you, thanks for the note! Hopefully see you around soon... I'm sure you guys are counting down the days!